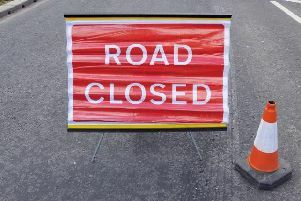 Below are the road closures planned for the next few weeks. Dell Quay Road, Appledram. Carriageway Patching. Road Closure. February 1/2. Rowner Road, Billingshurst. Carriageway pothole repairs. Road Closure. January 18. Station Road, Bognor Regis. Remove temporary water supply and install supplies in carriageway. Road Closure. January 17-24. Victoria Drive, Bognor Regis. Carriageway Patching. Road Closure. January 29/30. Billingshurst Road, Broadbridge Heath. Install mini roundabout, including Carriageway Resurfacing. Road Closure. January 29 - February 2. Shelley Drive, Broadbridge Heath. Install mini roundabout, including Carriageway Resurfacing. Road Closure. January 29 - February 2. Junction Road, Burgess Hill. Full level crossing upgrade. Overnight Road Closure. January 28/29. Barlow Road, Chichester. New water connections to new site. Road Closure. January 15-19. New Park Road, Chichester. Tree works to improve street lighting. Road Closure. January 24-26. Northgate Road, Crawley. Change RBS signage. Overnight Road Closure. January 29/30. Piggery Hall Lane, East Wittering. Replace water mains, associated services and connections. Road Closure. Until May 4. Station Road, Elsted and Treyford. Tree works. Road Closure. January 22. Ferring Street, Ferring. Level crossing maintenance and white line painting. Road Closure. January 21. Woodsland Road, Hassocks. Road narrowing north of the mini roundabout. Road Closure. Until January 19. Oathall Avenue, Haywards Heath. Lay new drinking water main, associated services. Road Closure. Until May 11. Oathall Road, Haywards Heath. Lay new drinking water main, associated services. Road Closure. Until May 11. Polecats, Heyshott. Access overhead Openreach plant on poles for cabling work. Road Closure. January 22-26. New Street, Horsham. Gas escape in progress. Road Closure. January 4-19. Freshfield Lane, Horsted Keynes. Lay new drinking water main. Road Closure. Until April 20. Toddington Lane, Littlehampton. Track maintenance. Overnight Road Closure. January 20/21. Hammerpond Road, Lower Beeding. Provide overhead Openreach fibre cable. Road Closure. January 22-26. Farhalls Crescent, North Horsham. Lay duct from kiosk to carriageway chamber. Road Closure. January 22-26. Lagness Road, North Mundham. Carriageway Patching. Road Closure. January 30/31. Church Lane, Oving. Replace water mains, associated services and connection. Road Closure. Until February 2. Gribble Lane, Oving. Replace water mains, associated services and connection. Road Closure. Until February 16. Toat Lane, Pulborough. Carriageway pothole repairs. Road Closure. January 29. Wimland Road, Rusper. Lift and replace level crossing to allow tamping machine through. Road Closure. January 31 - February 1. Dragons Green Road, Shipley. Carriageway Patching. Road Closure. January 29-31. Dragons Lane, Shipley. Carriageway Patching. Road Closure. January 29-31. Eastern Avenue, Shoreham-By-Sea. Level crossing upgrade. Overnight Road Closure. January 21/22. Mill Lane, Sidlesham. Trial holes prior to water mains replacement. Road Closure. January 15 - February 2. Rookery Lane, Sidlesham. Trial holes prior to water mains replacement. Road Closure. January 15 - February 2. Sullington Lane, Sullington. Carriageway Patching. Road Closure. January 18. Northlands Road, Warnham. Carriageway Patching. Road Closure. January 25/26. Mill Lane, West Grinstead. Carriageway Patching. Road Closure. February 1-6. Piggery Hall Lane, West Wittering. Replace water mains, associated services and connections. Road Closure. Until May 4. Woodmancote Lane, Westbourne. Install Openreach poles and cabling for new customer connection. Road Closure. February 1/2.